I was very excited at the idea of an overseas placement, but was really unsure of where to go. Sat discussing with a friend where we should go we decided to look the Work the World office up and realised we were literally only metres away, so we made an impromptu appearance at their office. The staff were all really welcoming and answered all our questions. 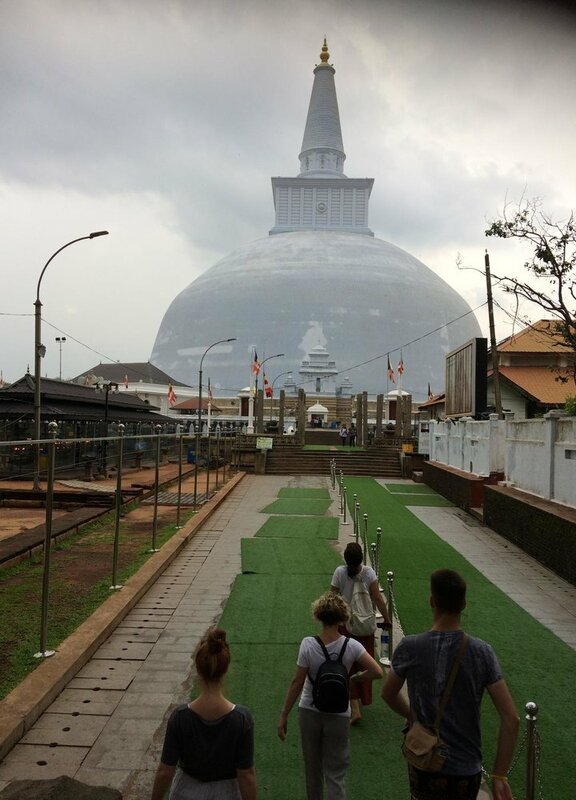 After a long discussion we decided we would like to go to Anuradhapura in Sri Lanka, somewhere that neither of us had been before, and we started to plan our trip. MyTrip, the online placement planner provided by Work the World, has step by step guide of what you need to do and when, which I found really helpful, especially when it came to arranging visas etc. You also complete your work experience to date and state your clinical preferences so that they can arrange what departments to place you in. A few months before my trip I had my clinical interest call and I chose to spend 2 weeks within the surgical department, which sounded fantastic. We were there during low season, so although the WtW house sleeps about 30 there were only 8 of us staying there. There were 4 student nurses from our course and we met another student nurse and a pharmacist when we arrived. 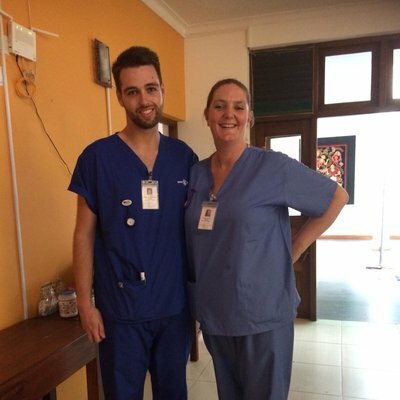 Another student nurse and an OT joined us after the first week. The WtW team were great, really friendly and accommodating. 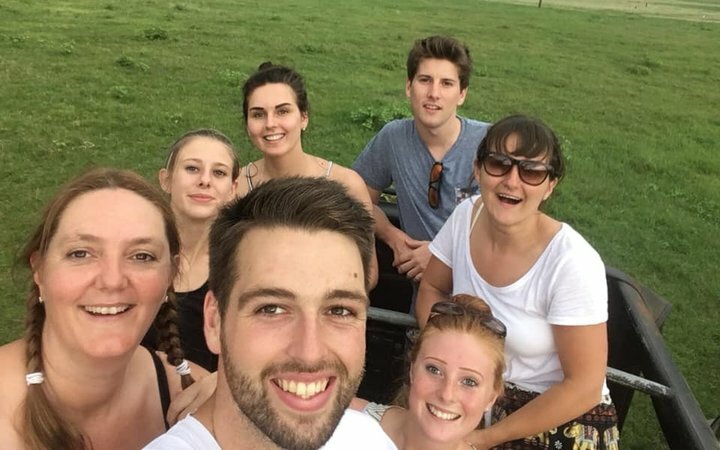 They were happy to help us with advice on where to spend our free time, help book us taxis and tuk tuks, and obviously to help us with our hospital placements. 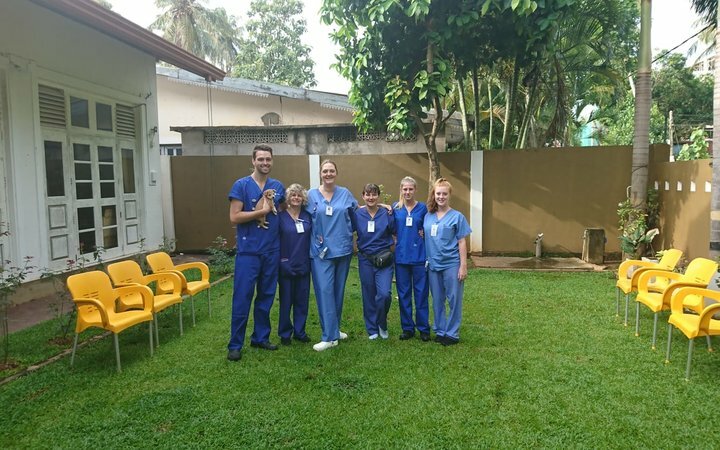 When we arrived in Colombo we were met by a member of the Work the World team and were driven up to Anuradhapura, where we were shown around the house and given our first taste of the Sri Lankan cooking. It was delicious and plentiful. Our first day in Anuradhapura we were given an orientation of the city and taken to exchange money and buy local sim cards. We were then taken for a tasty lunch in a local restaurant. We had the afternoon to explore some more on our own. On our first day at the hospital, which is a 5 minute walk away, we were taken and introduced to the superintendent who gave us a presentation and then took us to our wards. The hospital itself was fascinating. The area is not very touristic, so people are not so used to foreigners. Just walking through the hospital outpatients department people were staring and smiling, everyone wanted to say hello and practice their English on us. I found I was able to visit many different wards in my 2 weeks and therefore I feel I got a good overview of the hospital. I visited the emergency surgical ward, emergency theatres, surgical ITU, OBG theatres, labour ward, A&E and the renal ward. I got to see some fascinating cases that I would never see in the UK, such as a boy who had been attacked by a bear, a farmer bitten by a Russell’s Viper and a man who had shot himself in the hand with an elephant gun. It was a real culture shock. I found that although they had limited resources, they had more than I had expected, it was more the way that their culture altered the care they were given and their expectations. I also found it pretty shocking to see two patients being treated in theatre at the same time. Most days we finished placement early enough to do some exploring in the afternoons. Anuradhapura is the site of the ancient temples and one afternoon we hired tuk tuks to take us to all the local temples. Another afternoon we took a jeep safari to see elephants in the wild. It was absolutely fascinating to see these majestic beasts and there were just so many of them. The safari itself was an experience, after all the recent rainfall we were bouncing around all over the place, such fun. Other afternoons we chilled out in the pool of one of the three hotels that offers access for a small price or we went to the neighbourhood markets or had language and cookery lessons in the house. Our university only allows for two weeks within our module, but we managed to add on a couple of days to explore, by flying out straight after our final lecture. We booked two days in Negombo and had arranged a taxi to take us to Kandy and stay with us for the day. 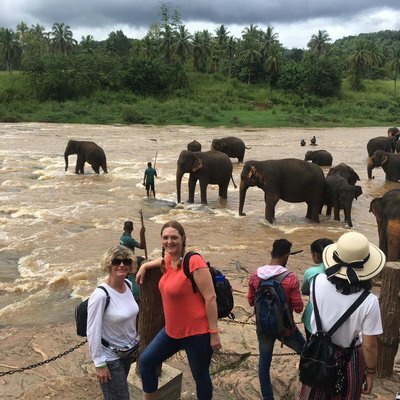 We visited the elephant sanctuary on the way through and watched them bathing in the river. We then visited the botanical gardens, spice gardens and temple complex in Kandy. The temples are a must, I found them absolutely breathtaking. In the middle weekend we took a bus down to Kandy again. We saw traditional fire dancing and went to a market to stock up on gifts to take home. Early Saturday morning we took the Kandy to Ella train. I was worried that it may have been too much travelling but I am so glad we did. It was awesome, I felt I was on a train journey up to the sky, sat with my legs hanging out the train I don’t think I have ever felt so alive! We arrived at Ella, quickly found a hotel and then headed out in tuk tuks to the 9 arch bridge and then to the waterfall that we could not resist bathing in. 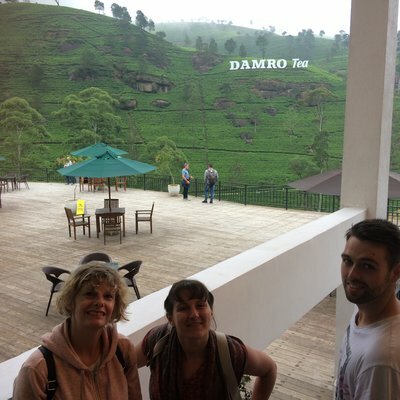 On the Sunday we took a taxi to Nuwara Eliya where we visited the tea plantations and found a really good priced luxury hotel. We had arranged to do the late shift on the Monday, to allow us extra time to travel and got a very early morning 6 hour taxi back up to the house. It was exhausting, but so worthwhile. For our final weekend we got a taxi over to Trimcomalee, where we stayed in a hostel on the beach and took a boat over to Pigeon Island and did some snorkelling over the coral. It was captivating, there were so many colourful fish to see. It was such a beautiful beach that myself and a friend decided to set our alarms for 5.15am in order to be get up to see the sunrise. The water there is so warm that even at this time of the morning it was like getting into a warm bath and we sat at the water’s edge watching the sun come up. We then got a taxi back to the Anuradhapura house one last time to collect our bags. 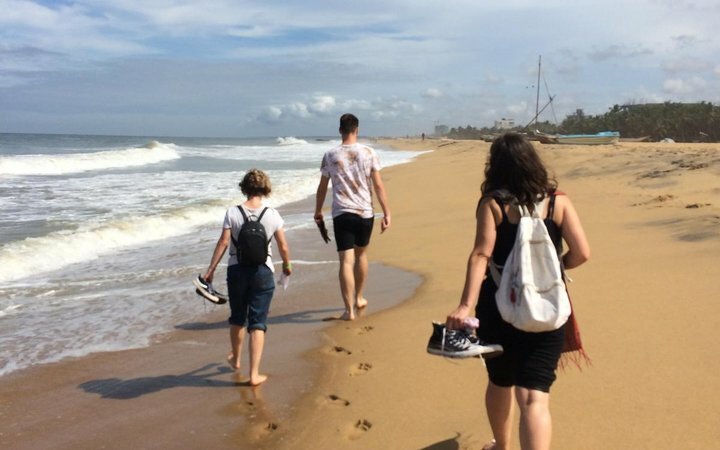 We then headed back down to Negombo where again we bartered with a luxury hotel and got a brilliant deal on hotel rooms to finish our stay in style. Here we visited the local market before heading to a nearby restaurant. The heavens opened whilst we were eating and on leaving the restaurant we found we had to wade home in over a foot of water, which was an experience in itself. Sunday morning we had to get up to get our taxi to the airport with only time for a quick swim in the pool and a walk along the beach before we left this beautiful country full of enchanting people. I met the most amazing people on this trip. There is so much that I will never forget, but I think if I had to pick one it would be the train from Kandy to Ella. From a professional viewpoint I would say at least learn how to say hello and introduce yourself. I found this to be a real icebreaker with the doctors and nurses on the ward. Also be open minded, we have our way of doing things and they have their way - remember you are a guest in their hospital.